Our bright and modern recently refurbished premises are versatile enough to hold events from small meetings through to product launches and small conferences. 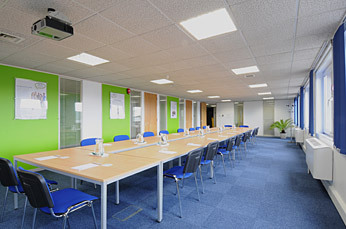 We are able to accomodate up to 100 delegates in comfort. 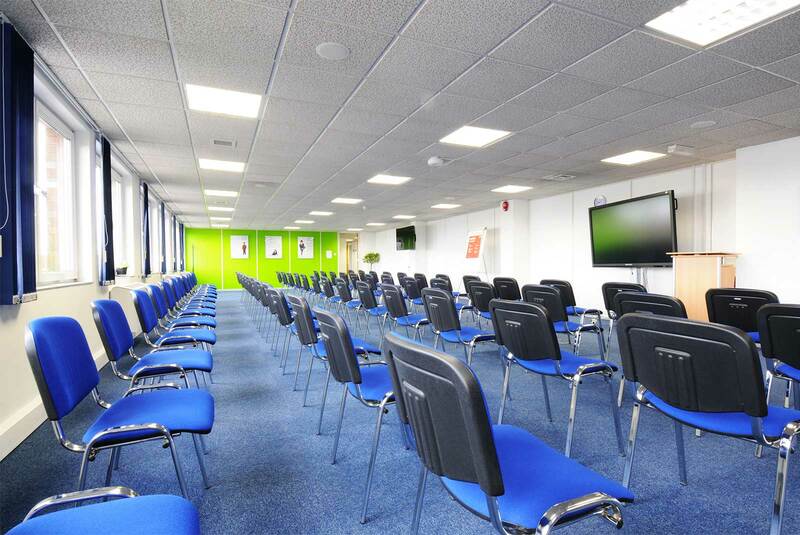 Our bright and modern recently refurbished premises are versatile enough to hold events from small meetings through to product launches and small conferences. 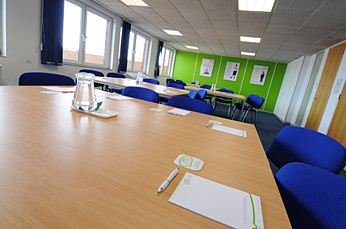 We are able to accommodate up to 100 delegates in comfort. We also offer multiple onsite services such as high quality catering and IT assistance. All of our rooms feature display screen, flip charts, pens and access to free hi-speed Wi-Fi as standard and additional equipment such as Laptops, iPads and iBoards is also available to hire. We also offer a range of catering facilities from cafe refreshments with bean to cup coffee through to a comprehensive range of catering options. Full Audio/Visual including integrated projector and screen with multiple inputs. Room audio with external connectivity. Full Audio/Visual including 42” screen, with multiple inputs. Room Audio with external connectivity. Full Audio/Visual including iBoard and two 42” screens. Room Audio with full PA capability and external connectivity. Fourth Floor is Located in West Bromwich, overlooking The New Square Shopping Centre, we are conveniently positioned nearby multiple transport links, including The M5/M6 interchange, Birmingham New Street Station and Birmingham International Airport. © Copyright 2019 Fourth Floor | SIPS Education. All Rights Reserved. Founded in 2012, we are an organisation with one over-riding focus: to improve outcomes for children and young people through the provision of high quality school support and school improvement services. To do so, we’ve pulled together a large team of teaching practitioners, educational professionals and support staff who are fully committed to sharing their expertise and best practice experience.